4F0959851G 5PR. FOR SALE IS NEW GENUINE DRIVER SIDE FRONT ELECTRIC WINDOW SWITCH TO FIT. The New and Used Audi Parts Specialist for all Audi models worldwide. It may fit others. Audi Part Number: 8Z0 959 851 G. Donor Car Colour: Bodywork is N/A. Interior trim is N/A. AUDI A3 8P 2004-2013 model with only front electric windows. 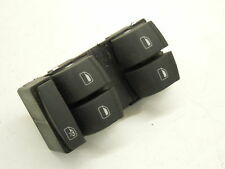 FOR SALE IS NEW GENUINE DRIVERS SIDE FRONT ELECTRIC WINDOW SWITCHES TO FIT. Push button for TIPTRONIC - Right - 3 Spokes - Soul (black). Audi A3 - 2004>2013. Audi A3 Cabrio - 2008>2013. Audi A4 - 2005>2012. Audi A4AR - 2010>2016. Audi A4Q - 2005>2012. Audi A5 Cabrio - 2010>2011. 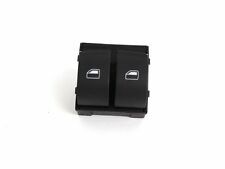 FOR SALE IS NEW GENUINE AUDI A4 CABRIO 03-09 DRIVER SIDE FRONT ELECTRIC WINDOW SWITCH BLACK TO FIT -AUDI A4 (2003 - 2009). Part number IN THE 5TH PICTURE PART IS MARKED AS NO.1. Audi A4 B6 Light Switch Panel With Front Fogs. Donor Car: 2001 Audi A4 B6 Saloon 1984cc. The New and Used Audi Parts Specialist for all Audi models worldwide. It may fit others. Audi Part Number: 8E0 941 531 A. PART NUMBERS: 8Z0959851G. FOR MODELS: AUDI A4 B6 2000 - 2004. AUDI A4 B6 2000-2004 model with only front electric windows. GENUINE products. Part number: 8Z0959855C5PR. [2004-2013]. audi a4/s4/avant/quattro [2001-2005]. audi a4/s4 cabrio. [2003-2009]. audi rs4 cabriolet qu. [2007-2009]. Genuine Audi A6 C6 04-11 Front Electric Window Switch Assembly. Audi A6 C6 - From 2004 Till 2011. Colour - Black. For Cars With Rear Child Locks. (Taken From: 2008 AUDI A6 C6 S-LINE 3.0 TDI ASB, QUATTRO, BLACK LZ9Y, AUTOMATIC GEARBOX HNN, SALOON, BREAKING). Used Condition! Have minor mark, dents, scratches. YOU WILL FIND MORE INFORMATION ABOVE. YOU MUST KNOW YOUR PART NUMBER If you have any doubts - check with your local dealer or other sources to make sure that you're purchasing the right part. • We take pictures of every single item, so you can see its exact condition. FOR SALE IS NEW GENUINE AUDI A3 13-16 REAR LEFT N/S RIGHT O/S SIDE SWITCH FOR WINDOW REGULATOR BLACK WITH SILVER TRIM TO FIT - AUDI A3 (2013 - 2016). NOTE: PART FITS BOTH LEFT AND RIGHT SIDES. IN THE 4TH PICTURE PART IS MARKED AS NO.14. Part number: 8Z0959851G5PR. A2 2000-2005. Model:A3 8L. Part:Passenger side front window switch b83. All our parts are security marked before being dispatched. Condition:Used in working order. Part number - 4F0959851H5PR 4F0959851H 5PR. Model - A3 Sportback (8PA). Year of Manufacture - 2013. 8K0959851D V10. 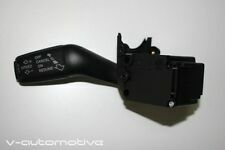 FOR SALE IS NEW GENUINE AUDI Q5 A4 A5 DRIVERS SIDE SWITCH FOR ELECTRIC WINDOW REGULATOR TO FIT - AUDI Q5 (2008 - 2012). - AUDI A5 (2008 - 2012). - AUDI A4 (2008 - 2012). The New and Used Audi Parts Specialist for all Audi models worldwide. Fits Right Hand Drive Vehicles Only. 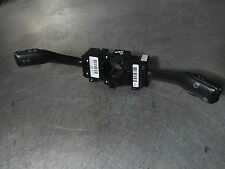 Audi Part Number: 4L2 959 831. It may fit others. Donor Car Colour: Bodywork is N/A. Interior trim is N/A. (Audi A3 2004 - 2013. Condition is only one. We haven't influence and don't take responsibility for them. b) parcels didn't take. • All our parts are marked and will be inspected once received. • We take pictures of every single item, so you can see its exact condition. FOR SALE IS NEW GENUINE AUDI A3 13-16 FRONT PASSENGER SIDE SWITCH FOR WINDOW REGULATOR BLACK WITH SILVER TRIM TO FIT - AUDI A3 (2013 - 2016). IN THE 4TH PICTURE PART IS MARKED AS NO.5. Part number. A3 Cabriolet 2008 >> 2013. Right hand drive models only! Donor Car: 2003 Audi A4 B6 Cab 3000cc. The New and Used Audi Parts Specialist for all Audi models worldwide. It may fit others. Audi Part Number: 8E0 953 503 B. MODEL: A6 C6 2.0 TDI. Do not relay on it. MAKE: AUDI. GEARBOX:6 SPEED MANUAL CODE:GYX. Cash only if collected in person! Item will be sold exactly as shown in the pictures (you get what you see). Part Number: 8N2 959 551B. I'm sorry to sound rude with this, however there is a very small minority of people who ruin it for the majority. 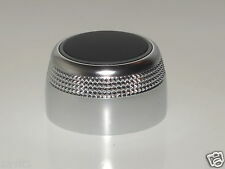 Electric Wing Mirror Switch from a 2003 Audi TT 3.2 V6 Quattro DSG. Part No. 4E0953503B. Audi INDICATOR WIPER CRUISE SWITCH STALK & Squib. All years and models are given for a general reference only. You will always get what is on the pictures! This is a handbrake actuator button for the following cars Q7 2007 - 2015 . This is a new,genuine Audi part. Part number. Alternative part numbers. 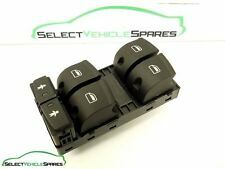 FITS AUDI A4 A5 MODELS 2007 - 2012. ANY FAULTY ITEM WILL NEED TO BE REPORTED TO US AS SOON AS POSSIBLE. REMOVED FROM A 2008 A5 2.7 TDI. GENUINE AUDI PART. IN GENERALLY GOOD ORDER. 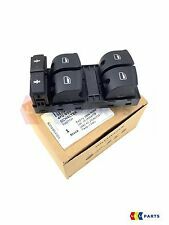 FOR SALE IS NEW GENUINE AUDI TT 07-14 SAFETY SWITCH FOR CENTRAL LOCKING SYSTEM BLACK RHD TO FIT - AUDI TT (2007 - 2014). NOTE: PART FITS ONLY RIGHT HAND DRIVE CARS. IN THE 6TH PICTURE PART IS MARKED AS NO.12. Donor Car: 2007 Audi A4 B7 Avant 1900cc. The New and Used Audi Parts Specialist for all Audi models worldwide. Audi Part Number: 4E0 953 513 E. It may fit others. Donor Car: 2013 Audi A7 3000cc Quattro. The New and Used Audi Parts Specialist for all Audi models worldwide. Audi Part Number: 4G2 927 227. It may fit others. FOR SALE IS NEW GENUINE AUDI TT 15-17 DRIVER SIDE FRONT ELECTRIC WINDOW SWITCH BLACK TO FIT -AUDI TT (2015 - 2017). IN THE 6TH PICTURE PART IS MARKED AS NO.2. MODEL: A4 B7 2.0 TDI. MAKE: AUDI. COLOUR: BRILLINAT BLACK CODE LY9B. GEARBOX: 7 SPEED AUTO CVT CODE JZT. All our used parts are in good condition and are tested prior to dispatch. Cash on collection. The colour that you see on the screen may differ to the final colour of the product due to the make, model and setting of your screen. BEFORE BUYING ANY PARTS ENSURE IT IS CORRECT AND MATCHES YOURS! Audi A6 C6 Column Stalk Interface. Donor Car: 2007 Audi A6 C6 Avant 2000cc. The New and Used Audi Parts Specialist for all Audi models worldwide. Audi Part Number: 4F0 953 549 D. It may fit others.